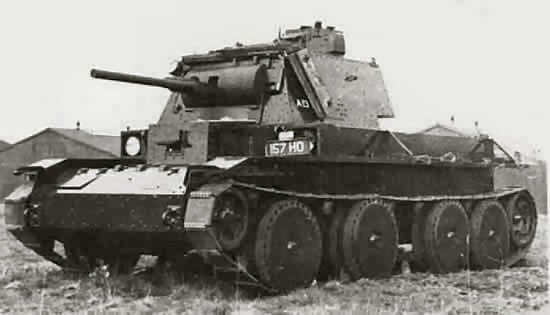 This was the first British tank to use Christie suspension and followed recommendations from the Assistant Director of Mechanisation at the War Office, Lt. Col. G. Le Q. Martel who had been impressed by Christie prototypes he had seen in trials. A prottype Christie vehicle was purchased (A13E1), from which the eventual design evolved. 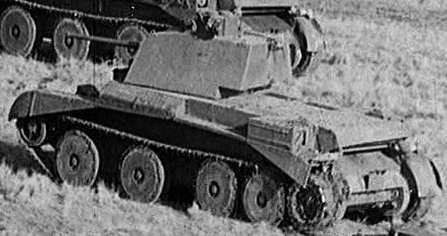 There were two production prototype vehicles, A13E2 and A13E3. The vehicle took just two years from allocation of funds in 1936 to delivery in January 1938. 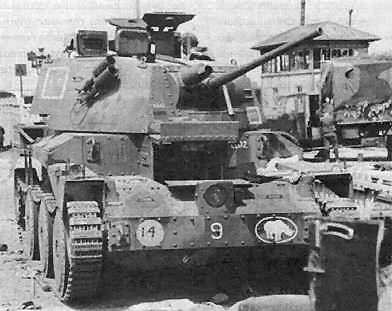 They were used by the 1st Armoured Division in France, 1940 and in small numbers in Libya, 1940 - 41.